Ready for Thanksgiving? Counter your eating with a quick walk or two. Whether you take a stroll to burn off some calories, distract yourself from the smorgasbord or quell your appetite, you don’t need to rack up big miles. 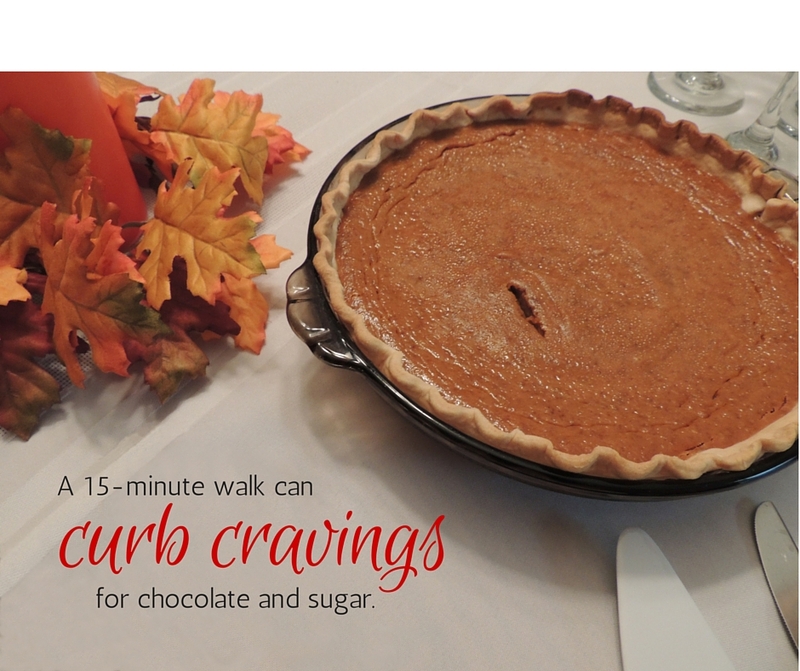 This entry was posted in Walking Fact Wednesdays and tagged #stepitup, cravings, curb cravings, Thanksgiving, walking, Walking Fact Wednesdays, walking facts by Walk With Joelle. Bookmark the permalink. Who wants to curb chocolate cravings?? :) Happy Thanksgiving! Yeah, not if they saw the pie you made!! I should’ve baked it earlier and I could’ve used a picture of it instead!